The Arizona Game and Fish Commission establishes policy for the management, preservation and harvest of wildlife, and makes rules and regulations for managing, conserving and protecting wildlife and fisheries resources, as well as for safe and regulated watercraft and off-highway vehicle operations. 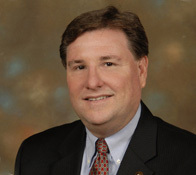 James S. Zieler, of St. Johns, was confirmed as a member of the Arizona Game and Fish Commission by the Arizona Senate on March 4, 2015 following an appointment by Gov. Doug Ducey. Zieler is currently employed by the Salt River Project as a supply chain manager. Prior to beginning his career with SRP, Zieler retired as the chief of police with the St. Johns Police Department after a twenty year career in law enforcement. His law enforcement experience included assignments in patrol, special operations, undercover narcotics investigations, and gang enforcement on Arizona Department of Public Safety’s state gang taskforce. He holds a bachelor’s degree in Public Safety Administration from Grand Canyon University and is a graduate of the FBI National Academy. He has served on a number of executive law enforcement committees and boards. 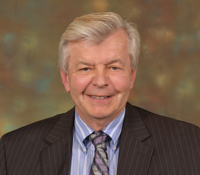 Zieler remained active in his community serving on the St. Johns Unified School District Governing Board (2007-2014), as a volunteer football coach and a volunteer with the Boy Scouts of America. Since 1999, he has conducted hunter education courses for the Game and Fish Department. Zieler is a lifelong hunter and angler and is a member of the National Rifle Association. Contact me. Eric S. Sparks, of Tucson, was confirmed as a member of the Arizona Game and Fish Commission by the Arizona Senate on Jan. 26, 2016, following an appointment by Gov. Doug Ducey. Sparks has been a practicing attorney in Tucson since 1987, specializing in debtor bankruptcy law and business reorganizations. He has also been an international advocate for sustainable wildlife and habitat management, contributing extensively to conservation and resource projects, boards and committees, including Water for Wildlife Foundation and Safari Club International. As an attorney, Sparks served as Legal Committee Vice Chairman of Safari Club International (1999-2009), the Safari Club International Museum and worked on the boards of directors of Boys and Girls Clubs of Tucson (1994-1999), Golden Eagle Firearms Corporation and the Water for Wildlife Foundation (1987-1997), among others. A veteran of the U.S. Marine Corps, Sparks earned his Juris Doctor degree from John Marshall Law School, ranking eighth in his class. He also received a Certificate of Completion from Harvard Business School in Government Policy and Management. Contact me. Kurt R. Davis of Phoenix was confirmed as a member of the Arizona Game and Fish Commission by the Arizona Senate on Jan. 25, 2017, after being reappointed by Gov. Doug Ducey. Davis was appointed to his first 5-year term in 2012 by then-Governor Jan Brewer, and he served as Commission Chairman in 2015-16. An avid hunter and angler, he is a founding partner at FirstStrategic Communications and Public Affairs, where he specializes in strategic public policy development for nonprofit clients, issues relating to rural Arizona, and government relations. Prior to forming FirstStrategic, Mr. Davis served as vice president of public affairs & marketing at Northern Arizona University. Earlier, he was vice president of public affairs & corporate communications at Rural/Metro, a company that provides fire and ambulance services to communities across the country. While at Rural/Metro, Mr. Davis was asked by then-Governor Fife Symington to take a leave of absence from the company to serve as executive assistant/deputy chief of staff for the Office of the Governor. In that role, he had policy responsibility for executive agencies such as the departments of Transportation, Corrections, State Land, Game and Fish, and others. Mr. Davis has also served as director of intergovernmental affairs & issues analysis at the Arizona Attorney General’s Office, executive director of the Arizona Republican Party, and held several appointed positions in the Reagan administration. He served as a gubernatorial appointment to the Arizona Board of Regents, the Vision 21 Transportation Task Force, and the Arizona State Board for Charter Schools. Mr. Davis serves as a board member for the Great Hearts Academies, the Arizona Chamber of Commerce, and on Arizona State University’s Ramsey Executive Program for Public Policy. He received his Bachelor of Science degree from Northern Arizona University in 1984. Contact Me. Leland “Bill” Brake of Elgin was confirmed as a member of the Arizona Game and Fish Commission by the Arizona Senate on March 6, 2018, following his appointment by Gov. Doug Ducey. An avid wildlife enthusiast, he has promoted activities with various wildlife groups in coordination with the Game and Fish Department to encourage involvement of youth and women in wildlife programs. Mr. Brake has owned and operated ranches in various Arizona counties for 50 years and has served as past president and current board member of the Arizona Cattle Growers’ Association, chairing its Wildlife Committee. 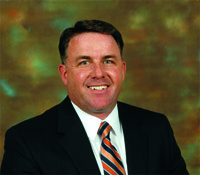 He has served as an agriculture consultant for DuPont Agriculture and as chief operating officer and president for distribution of heavy fuels and asphalt for HollyFrontier, which manufactures and markets a variety of asphalt-related products. 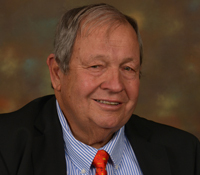 He served as past chairman of the Arizona Rock Products Association. Mr. Brake is active in the community, serving as a board member and current chair of the Advisory Committee for the University of Arizona’s School of Natural Resources (Wildlife and Range Management), and on the Resource Advisory Committee (RAC) for the Bureau of Land Management for Arizona. He earned a Bachelor of Science in Range Management, with a minor in Wildlife Management, from the University of Arizona. Contact Me. 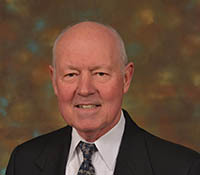 James E. Goughnour of Payson was confirmed as a member of the Arizona Game and Fish Commission by the Arizona Senate on Jan. 29, 2019 following his appointment by Gov. Doug Ducey. He has lived Arizona for more than 40 years and is a driving force for wildlife conservation and outdoor recreation in the Payson area. He is the owner of Rim Country Custom Rods, a small business that designs and builds custom fishing rods. Prior to starting his business, he worked 26 years for General Dynamics Aerospace Systems Group (previously Motorola Space Systems Group), culminating in his position as project manager responsible for all aspects of the Aerospace Operations Program. Goughnour chairs the Gila County Roundtable, a group of Gila County anglers working with AZGFD to enhance fishing conditions at Roosevelt Lake. He is an active member of the Bass Anglers Sportsman Society (B.A.S.S. ), FLW, the National Rifle Association, and the Tonto Rim Sports Club. He earned a Bachelor of Science in Business Administration from the University of Phoenix. Contact me.